FPD Asia Property Services, Inc. a pioneer in real estate property management services industry in the country has sealed the partnership with ABS-CBN Lingkod Kapamilya Foundation - Bantay Kalikasan. The partnership aims to help in sustaining the environment through proper disposal of lead acid batteries and used industrial oils of the company. This tie up is under the Bantay Baterya/Bantay Langis project of Bantay Kalikasan. FPD Asia has 80 buildings nationwide where in they are already practicing waste segregation. "This is a part of our initiatives to make our buildings green. We will try to cascade every initiative to all the properties we have," Rabuy adds. If not disposed in line with proper environmental standards, lead acid batteries and used industrial oils pose risks to human health and environment. It can impair human hearing, vision, and muscle coordination. Industrial oils can contaminate the water, land, and air. 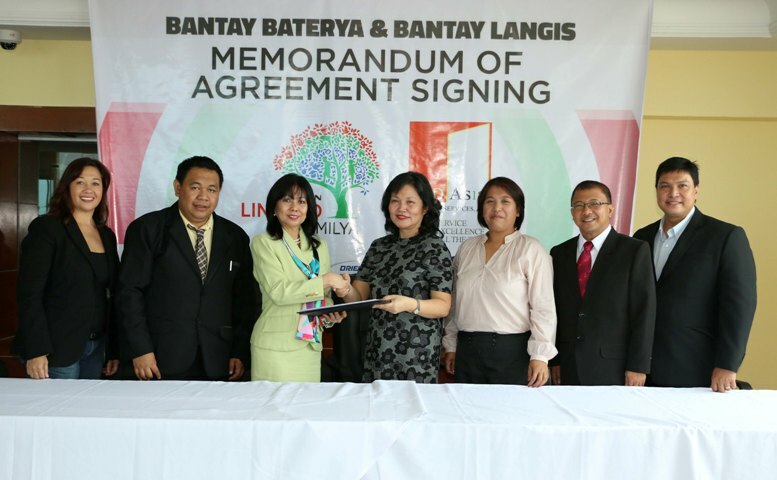 Once the hazardous wastes of the company are properly disposed or recycled through Bantay Kalikasan's partner recyclers, Oriental & Motolite Marketing Corporation and Genetron International Marketing, the monetary value will be turned over to ALKFI which will be used for the operations of BK's environmental initiatives such as the Green Initiative Eco-tourism project.